We have another exciting set of races this weekend and hope fans will follow along! 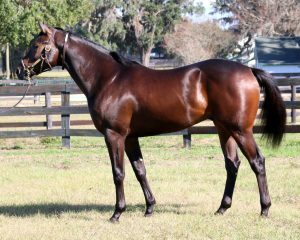 2YO colt Da Da Da Dude‘s career debut will be Race 5 at Laurel Park. Post time is 3:10pm, and you can view entries here. He is by Artie Schiller out of You Hear Us Coming. 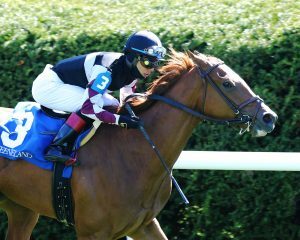 3YO filly Follow No One is running in the Alma North Stakes at Laurel Park. Post time is 5:10pm, and you can view entries here. 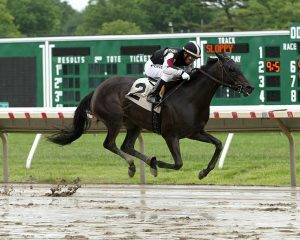 She is by Uncle Mo out of Miss Red Delicious, and she won her last race on May 29 at Monmouth Park. Watch the replay here. Churchill Downs racing is under the lights this weekend, and Chubby Star is running in the G3 Regret Stakes. Post time is 10:15pm, and you can view entries here. Chubby Star is by Malibu Moon out of Salsa Star, and she recently had an outstanding race at Pimlico on Preakness Day where she finished 2nd against the boys in the James W. Murphy Stakes. Watch the replay here. 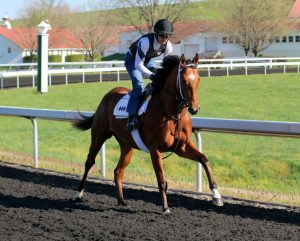 2YO colt Omen of Change‘s career debut will be Race 2 at Delaware Park. Post time is 1:45pm, and you can view entries here. He is by Midnight Lute out of Minnie Macy. Miss Temple City is headed to Royal Ascot, so stay tuned for updates. Follow us on Facebook, Twitter, and Instagram for more.